After this non-stop fashion month, June 2016 has left many fashion influences on us. That’s why we are highlight our main 5 favorite details from SS 2017 catwalks. Dalí, Hockney, Albert Einstein and Pablo Picasso were on Silvia Venturini’s mood board for this collection. 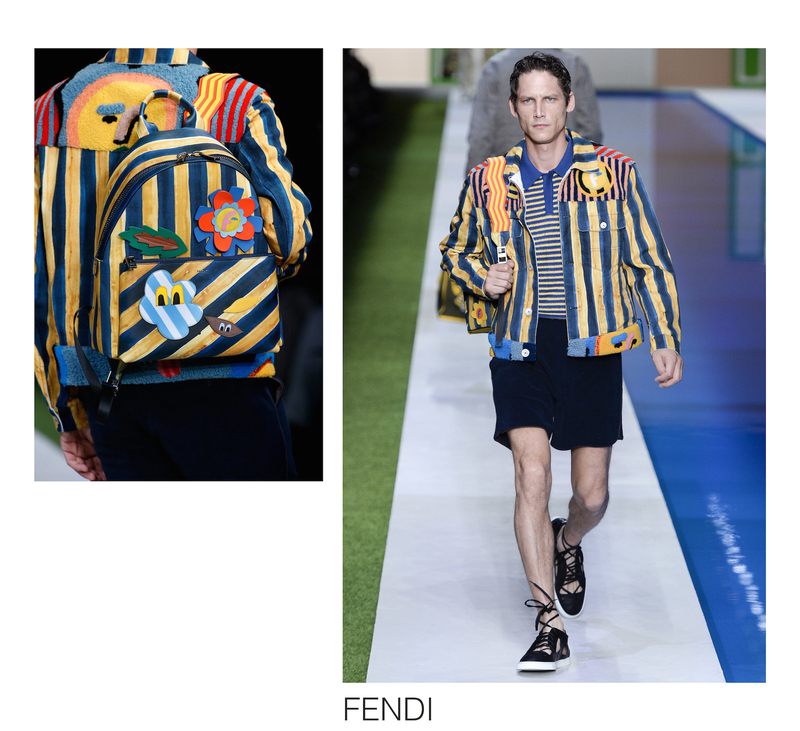 Accessories included beefy bags with Dalí-esque but Fendi-fied face pattern patches and some pieces ran multicolor waves that went in a spectrum from yellow to purple via green and violet were – said Fendi – “like after a drink”. 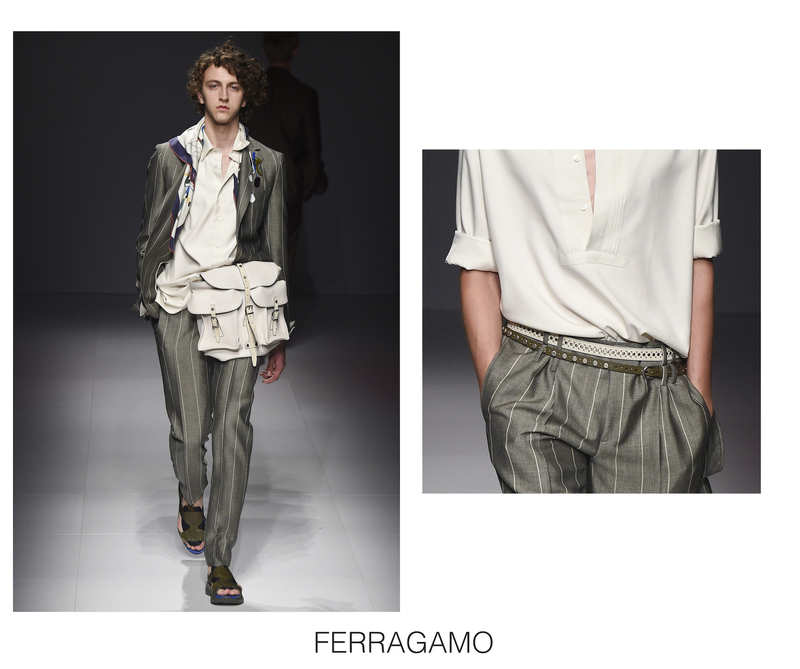 Ferragamo’s Spring collection with an artsy spirit peppered with the energetic vibe of a sophisticated explorer. This is why the design team chose the Russian painter Nicolas de Staël as inspiration because of his aura of ineffable insouciance that only a well-heeled, decadent upbringing can lend. He was also a displaced, doomed soul who traveled a great deal in his life. 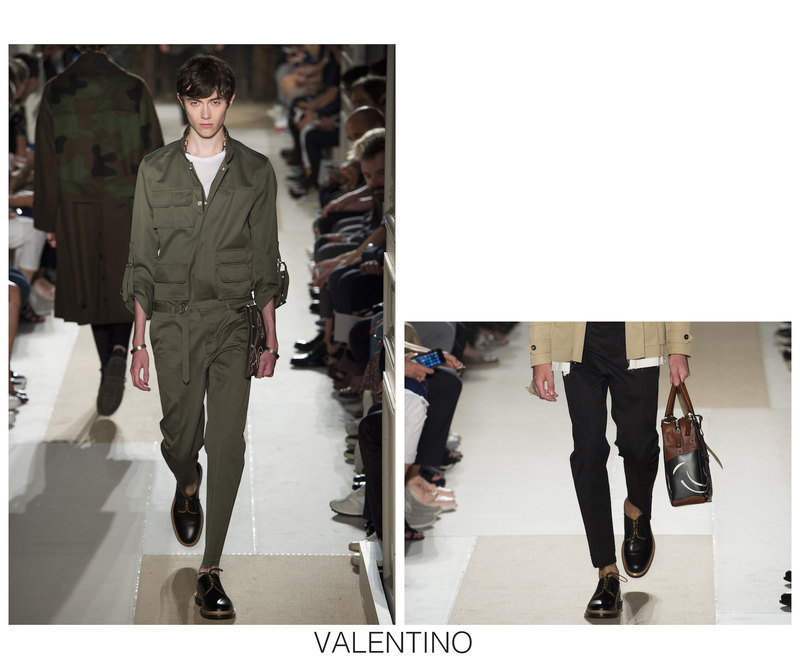 So, that’s why the Ferragamo guy looks very well equipped for the task. Couture House traditional sense of perfection through their experience has been broken by Maria Grazia Chiuri and Pierpaolo Piccioli after the Metropolitan Museum of Art’s exhibition “Unfinished: Thoughts Left Visible.” Spanning a catalog of artists running from Rembrandt to Rauschenberg and beyond, it displayed works left incomplete, or, in some cases, at least seemingly so. Thus, many of the pieces in this collection were non finito too. Spring seems to mean ‘traveling’ when it comes to fashion design. 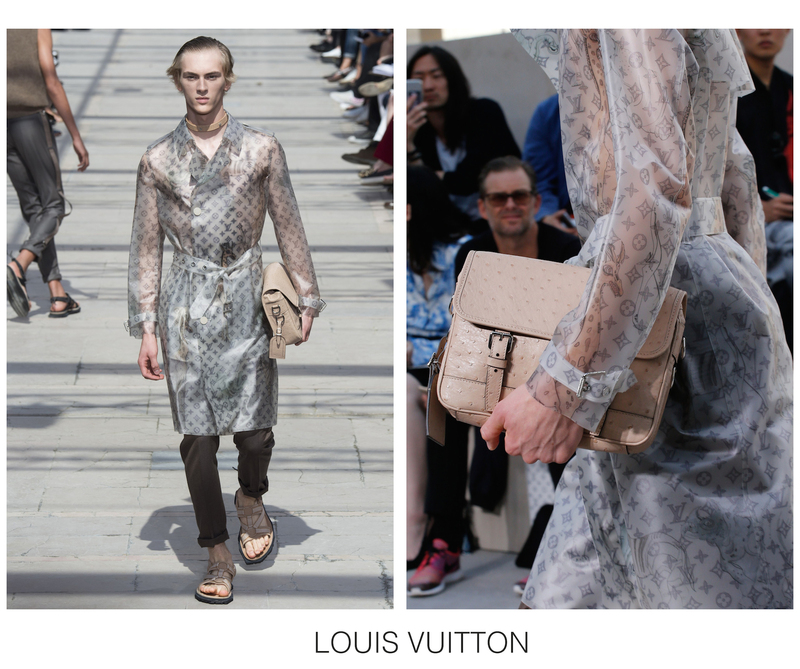 That’s why Louis Vuitton is the perfect descriptor – a house whose founding raison d’être was the notion of the voyager. Kim Jones had the real stuff in this show, too, pervy rubber trenches etched with the LV monogram and printed with a menagerie of mutated animals scribbled by the designer’s friends and past collaborators Jake and Dinos Chapman. Véronique Nichanian is certainly highly interested in the power of color. 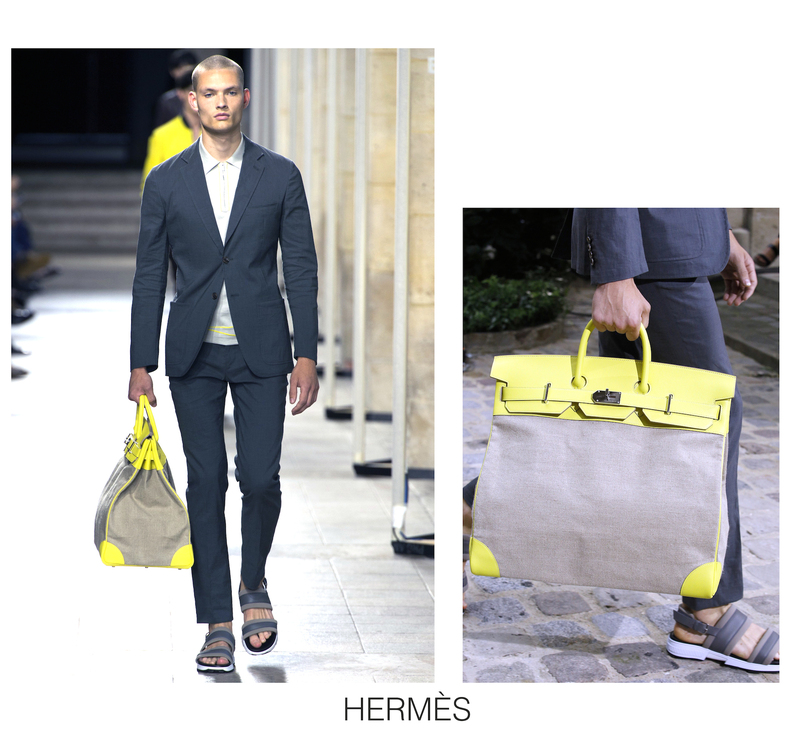 Hermès, after all, keep faithful to conservationism when it comes to their clothes but adding a new touch of reinvention to their main pieces – which are the focus of influence each season: the leather ones. What are your favorite details for next Summer season ?